Today we offer a Helping Hand for animals, and one considered among the most vulnerable on the planet: the rhinoceros, facing an unprecedented extinction crisis of poaching based on demand for their horns in Asia, primarily Vietnam and China. Despite scientists assuring the world they have no value, there's been a 6000% increase in poaching since 2008. 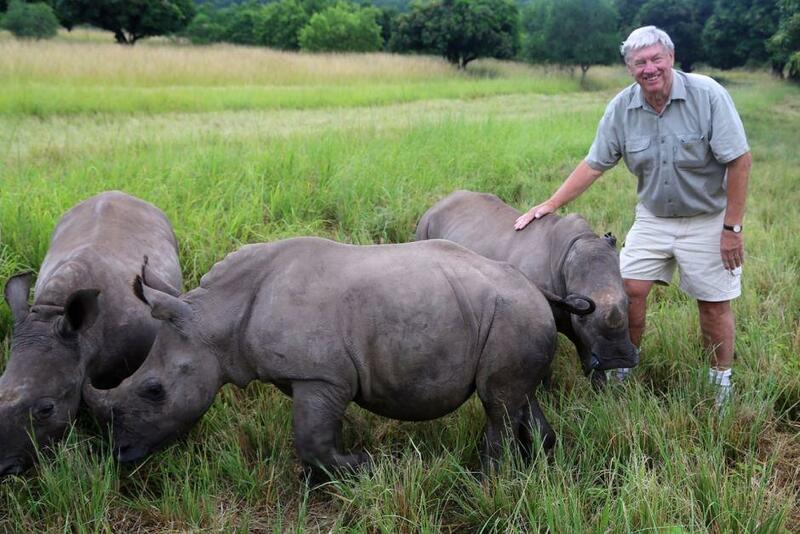 The non-profit Australian Rhino Project has a plan to move rhinos from South Africa to Australia. HPR ATC Host Dave Lawrence speaks with founder Ray Dearlove. Helping Hand is a weekly feature on HPR1 stations each Friday afternoon and then appearing online here, putting the spotlight on an organization or event that offers assistance to the disabled and others among the most vulnerable. The Australian Rhino Project is also on Facebook, Twitter, Youtube and Instagram. See a dramatic video shot April 24, 2016 of a rhino poached, her baby crying next to her, and the brave rescue of the infant. This occurred less than a month ago in South Africa. This is a graphic video illustrating the horrific consequences of the poaching epidemic, as well as the efforts of brave volunteers who selflessly come to the aid of a severely traumatized baby rhino. Caring for the exploding population of vulnerable orphaned rhinos has itself become a crisis. Learn more about the efforts of organizations like Stop Rhino Poaching, on the front line of the battle to save the rhinos. If you're on Twitter, this list is made up of organizations and individuals fighting for the rhinos and offers continuously updated news and information about the crisis.